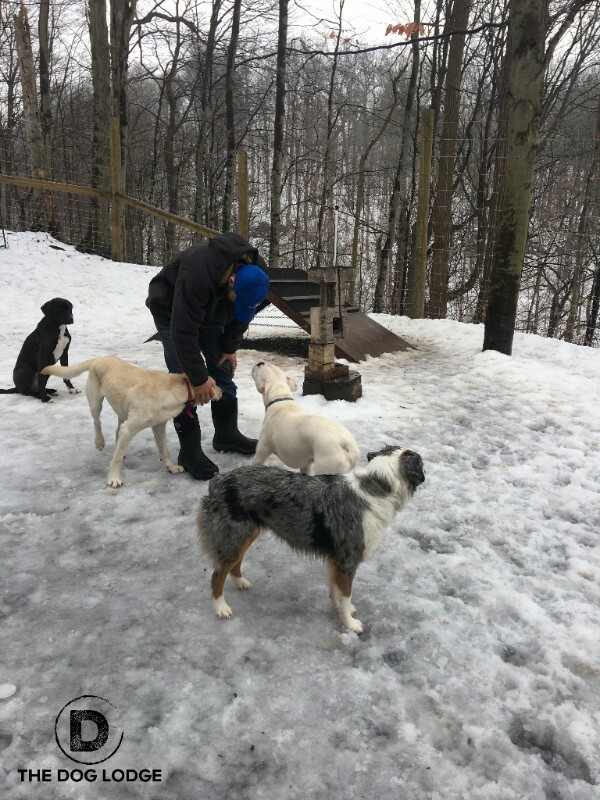 Teams from all over the east coast came to compete at this regional event hosted by Syracuse French Ring Club and The Dog Lodge. It's Our Two Year Anniversary!! Now that we have some awesome 101 grads we're starting our next group, Obedience 201! If you've already been through 101 let us know if you want to get set up for the next level! Also, those of you who have been looking for a great outlet and some fun will be happy to know that Agility 101 is starting in May! Let us know if you're interested!! Training Evaluations are always free of charge. Contact us if interested! 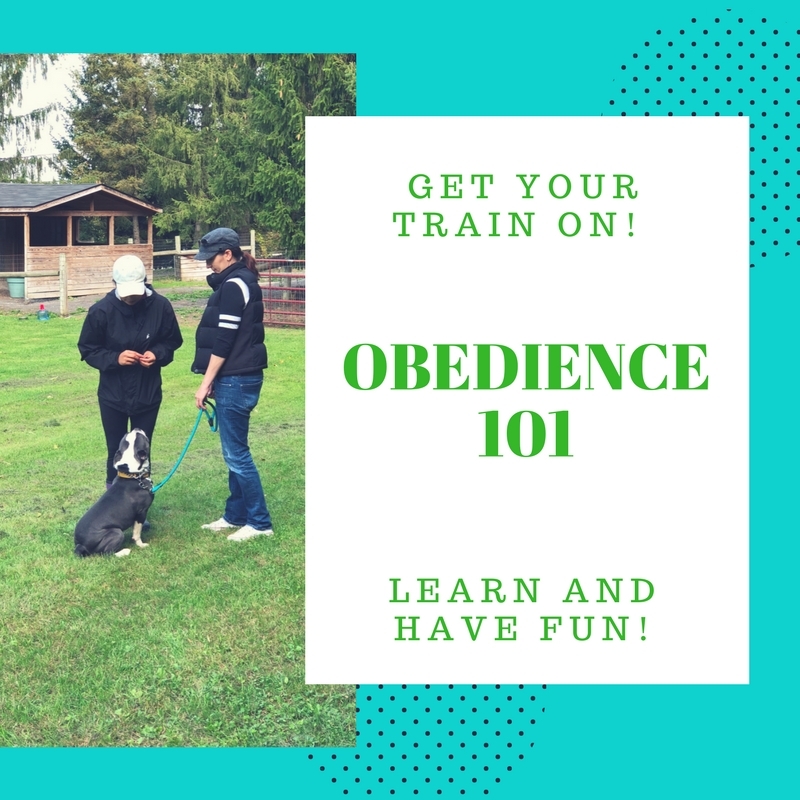 Obedience 101 covers: engagement, attention, socialization, leash manners, sit, down, and here. Obedience 201 covers: advanced sit/down, place, focused heel, impulse control, and advanced recall. Agility 101 covers- luring, sending to a mark, jumping technique, motivation, tricks, tunnel desensitizing, and teeter totter desensitizing. Each course is 5 sessions that build upon each other. Currently Spring Break (4/20-4/29) is completely booked. Here at the lodge things have been getting pretty crazy around the holidays and holiday breaks. 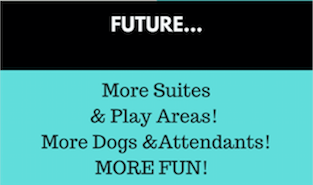 We want to remind you to book early for any upcoming events to ensure your pup a spot in a suite. We also offer crated board if those suites get scooped up too quickly. Makayla is just graduating high school and plans to spend her summer before college here with us. She's excited to learn all about the dogs and bring the knowledge back home to her 6! She's the proud of mama of 2 Rottweilers, 1 Golden, and 3 teacup Chihuahuas. Ashley is our new secretary! 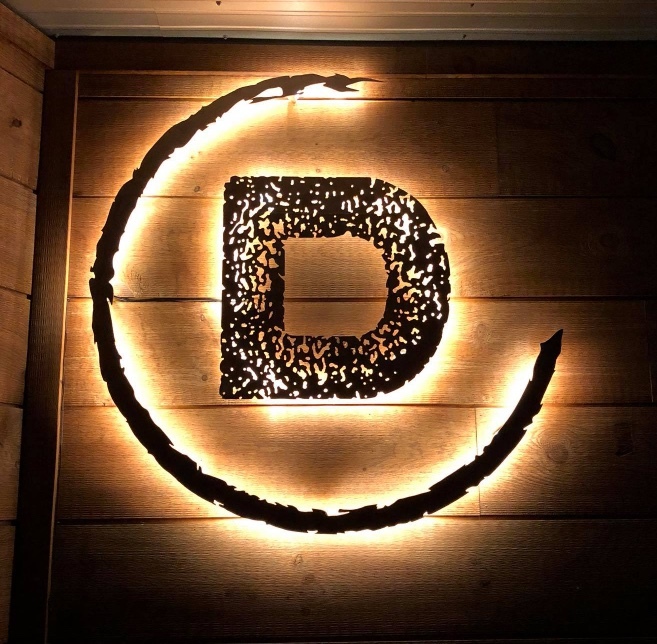 While she's worked in customer service for some time she wanted a change of pace and TDL was just what she was looking for! At home she has 3 dogs and 2 cats. 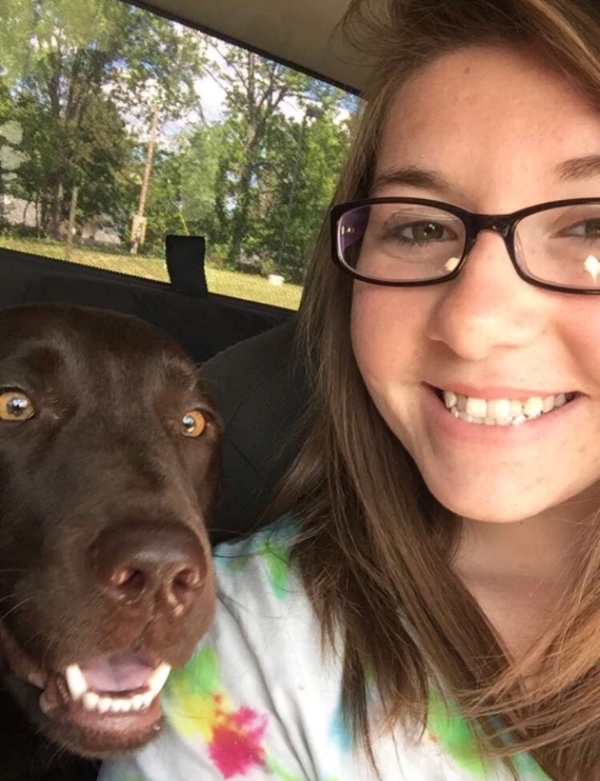 She's also enjoyed canine companionship all of her life! More awesome handy work from the owner, Ben! If you receive an email or text following a pick up, please take a few seconds to rate us and send your thoughts! It really means a lot to us. 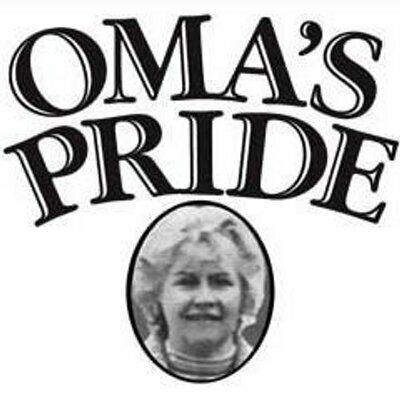 Check the Front Room for our Oma's Pride, O'Paws, and Woof products! Raw diets, treats, and freeze-dried goodies your pals will love. Oliver took a quick break from playing to sit and answer our questions! Thank you to Oliver and his family! 1. What is your favorite toy? When I'm playing outside my favorite toy is my big Chuck It. Inside I like to carry my big Teddy bear around and I love any paper product left within my reach. 2. How do you like to spend your free time at home? I love to spend my free time exploring my back yard, looking around my house for "things" to run around with and laying on my couch with a pillow. 3. How do you show your affection? 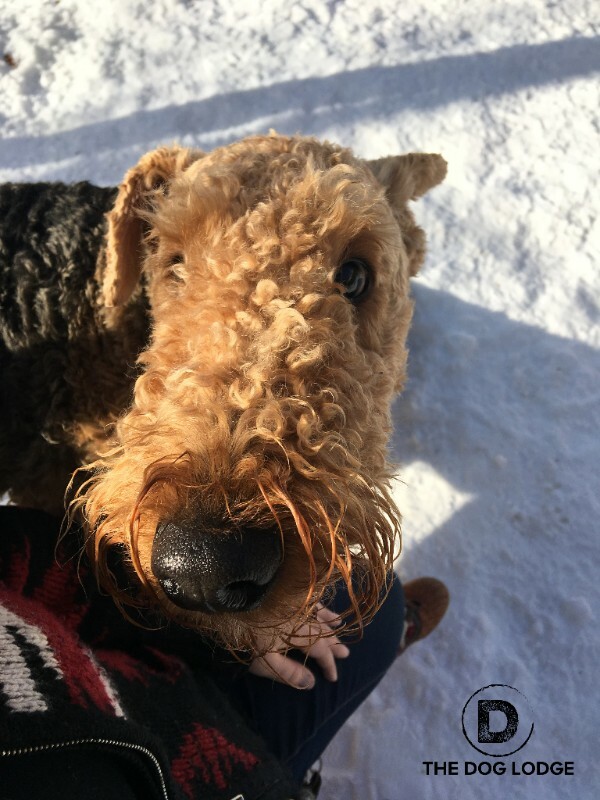 I show my affection by going in and out of legs when someone visits, I like to lay or sit on feet, or sit next to someone and put my paw on them. 4. How would you describe your perfect day? My perfect day starts with an egg for breakfast, playing in my yard, and spending time with my moms, Nanny and Poppy. Sometimes we go for a drive. Hopefully one of them gives me a bone to chew on! 5. Do you have any siblings, and if so, are there any rivalries? My mom thinks I love my toys too much to have a sibling, but I hear them talking about it every now and then. 6. What are your best traits? My best traits are my sense of humor - I'm very funny - I'm sweet and patient. Apparently I can be mischievous and tenacious.Whatever that means... but I think I'm funny. 7. Who would you say is your best human friend? I love anyone who will let me search their coat pockets for treasures, don't mind when I nip at their shoes and all of my family. 8. How do you feel about the Lodge? I love going to the lodge! 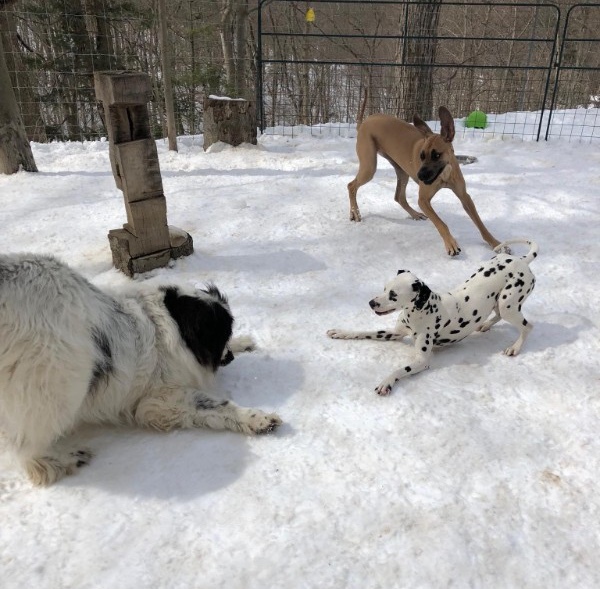 My best friends: Hank, Sebago, and Brodie, meet me there and we play all day! We love to play jokes on Ben, Ana, and Noel. Sometimes Ben likes me to stay over, and I sleep in my own room, get lots of attention and am so happy when I'm there! 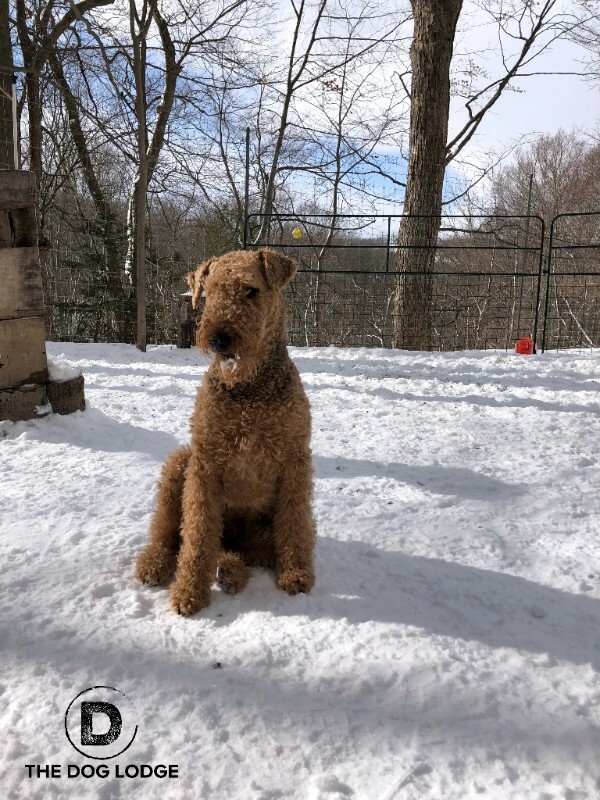 In honor of Oliver, our breed for the month of March is the Airedale Terrier! Here at TDL March is for training! Really, every month is for training but starting March 3 we have our group class starting. So far there are 12 sign ups! 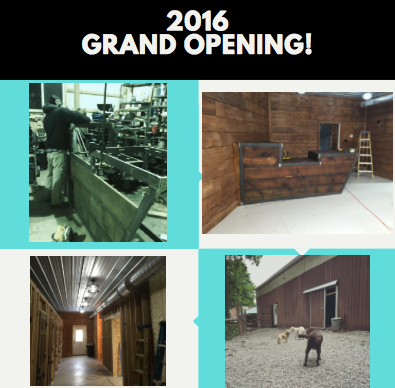 That's going to be 12 freshly trained dogs by April! Stay tuned for their progress! Our next 101 and 201 classes begin in April! Let us know if you would like to register! 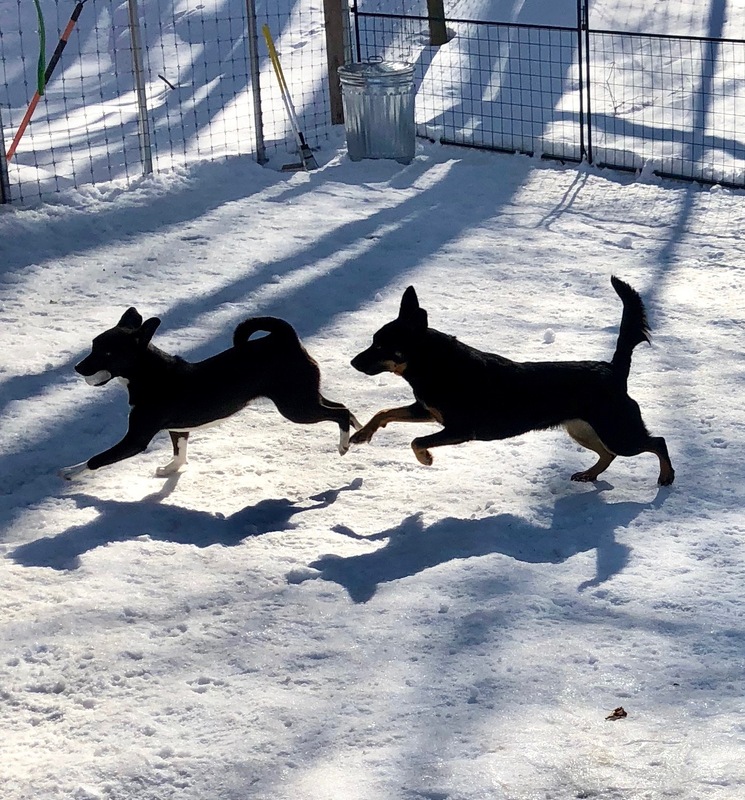 Agility 101- coming this spring! Currently Spring Break (4/20-4/29) has been completely booked for suites. There is a waitlist started. Contact us if you're interested. Employees! You may have met them already- Ana, Katelinn, and Alex. 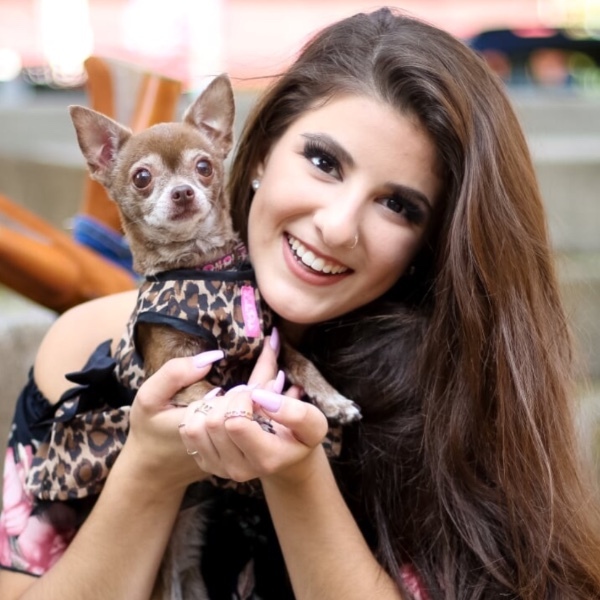 Anastasia, or Ana, is a secretary who comes to us with a passion for dogs and organization. 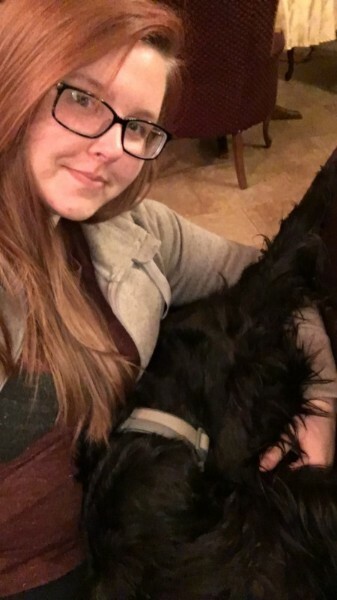 She has 3 schnauzers who hold her sanity as she keeps our client relationships and paperwork in tip top shape. 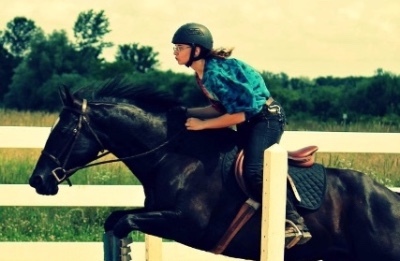 Katelinn is a kennel attendant who comes to us with knowledge of horses which she is applying to the canine world. 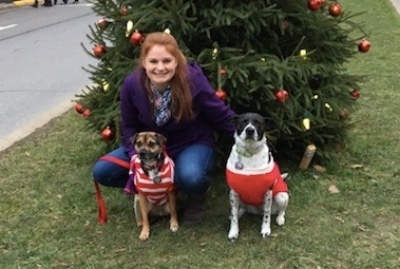 While she doesn't own dogs, she's enjoying a chance to work with them. 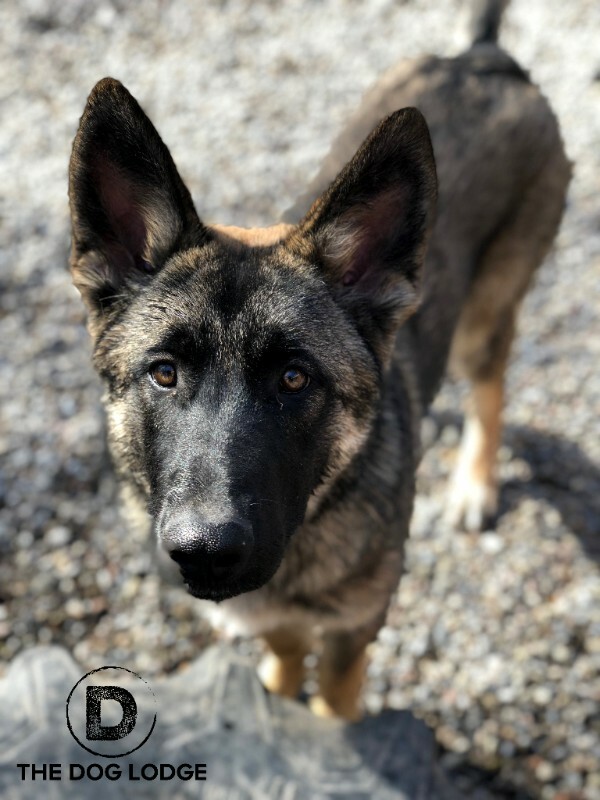 Alex is a kennel attendant who comes to us with dreams of becoming a veterinary technician and trainer. 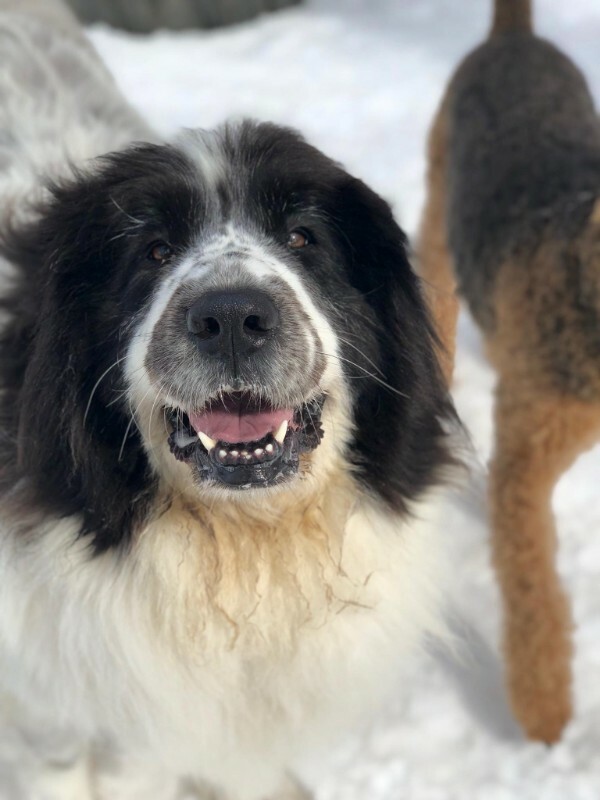 She has two dogs, Nelly and Klaus, who inspire her daily! Meet Hank! 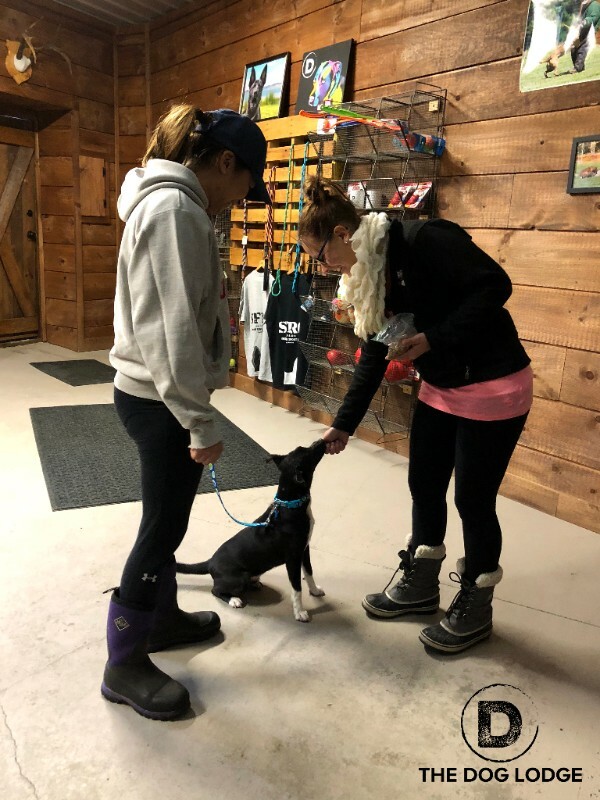 Our first Dog Of The Month is a regular here at The Dog Lodge, and he always keeps us entertained. 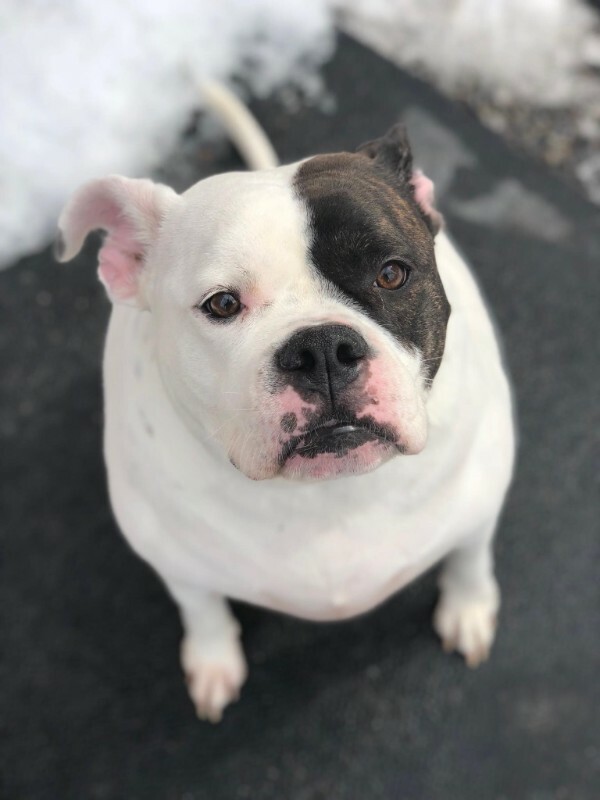 Hank is a friendly, gentle dog with a very big personality. He’s a fan of general mischief and leash tug-of-war. Hank tells-all in his first ever interview! 1. What is your favorite toy? 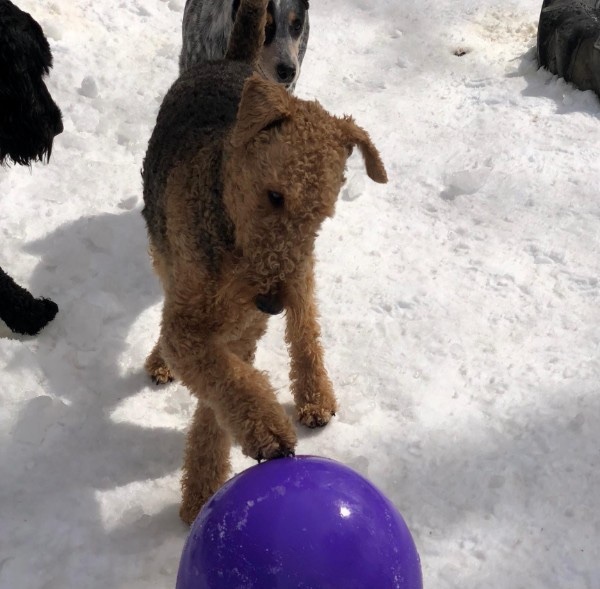 My favorite toy is the rolly ball that my family and friends put food in and I roll all over the house hoping the treats will fall out. I give the ball to anyone who will take it hoping for a treat. 2. How do you like to spend your free time at home? I like to follow my Mom and Dad all over the house and at night curl up next to them while they watch some gizmo that emits light and sound. Occasionally I hear a dog bark from the gizmo, but none have entered my house. 3. How do you show your affection? I like to put my face in my family and friends lap and show them how cute I am. 4. How would you describe your perfect day? 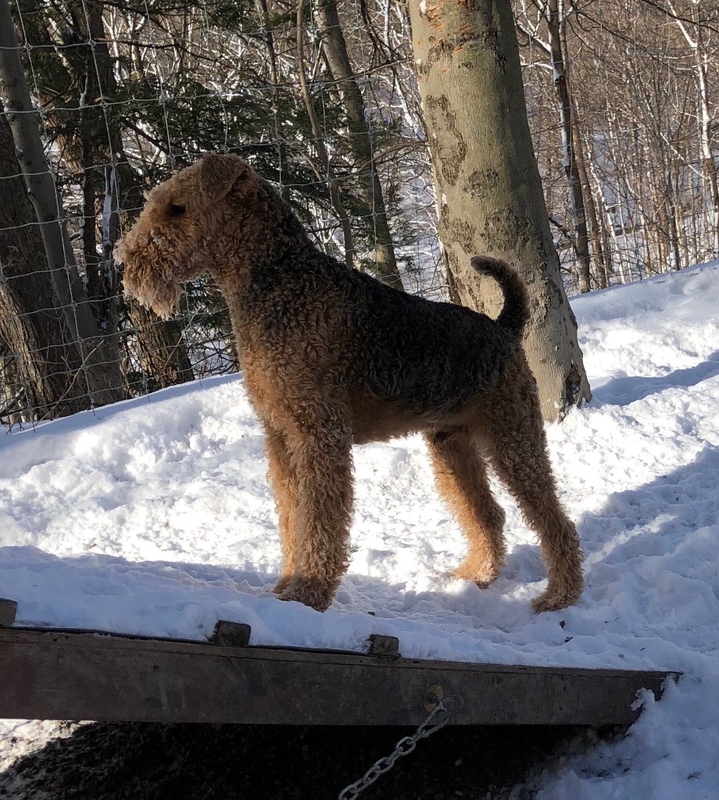 Chasing my Kong toy up and down the yard, a walk on the canal finished by a walk in the woods and some table scraps to finish off the perfection. 5. 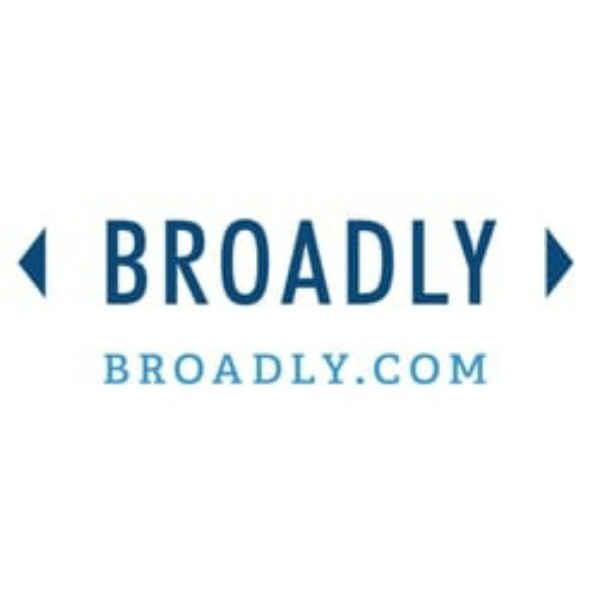 Do you have any siblings, and if so, are there any rivalries? I don't have any siblings yet, but my Dad is working on it. 6. What are your best traits? 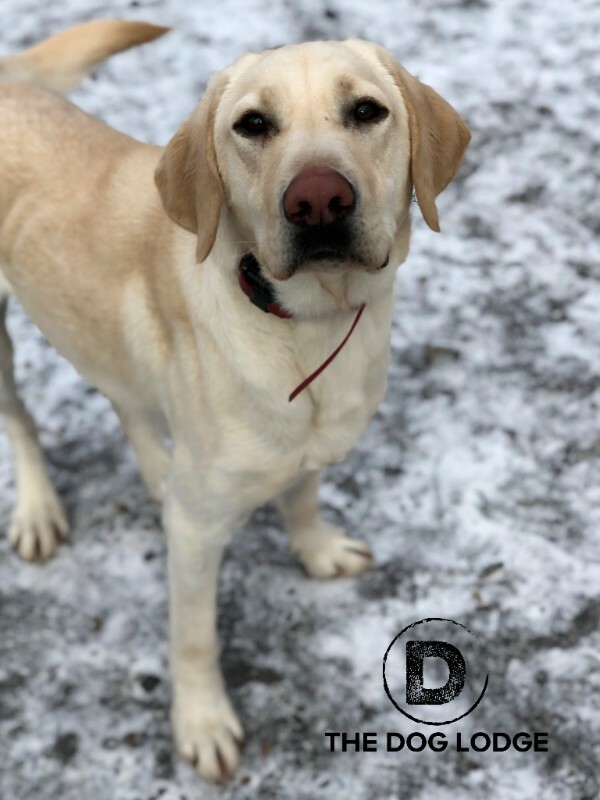 I am mischievous, I'm loyal, and I protect my house from visitors for at least 2 seconds with a bark, I'm cute and I follow direction… most of the time. 7. Who would you say is your best human friend? Really anyone who will share their food with me. I especially like it when Noel leaves her lunch where I can get it. 8. How do you feel about the Lodge? 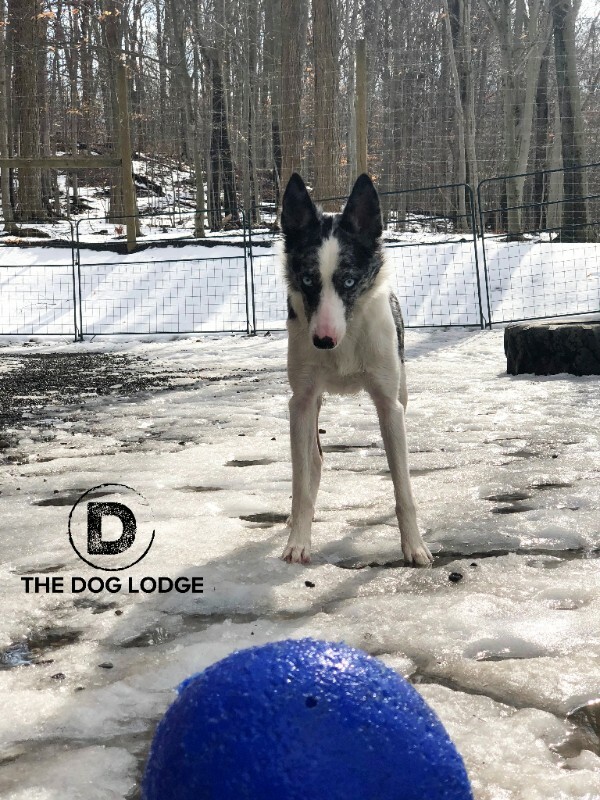 I love the Lodge, I get to play with all my buddies, we rip around the yard, we play A-frame, the humans are so nice to us and I see it as my home away from home! 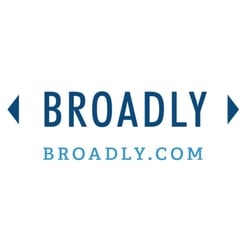 We recently partnered with Broadly! If you receive a text or email asking to review us, it would help us if you could send us your feedback! 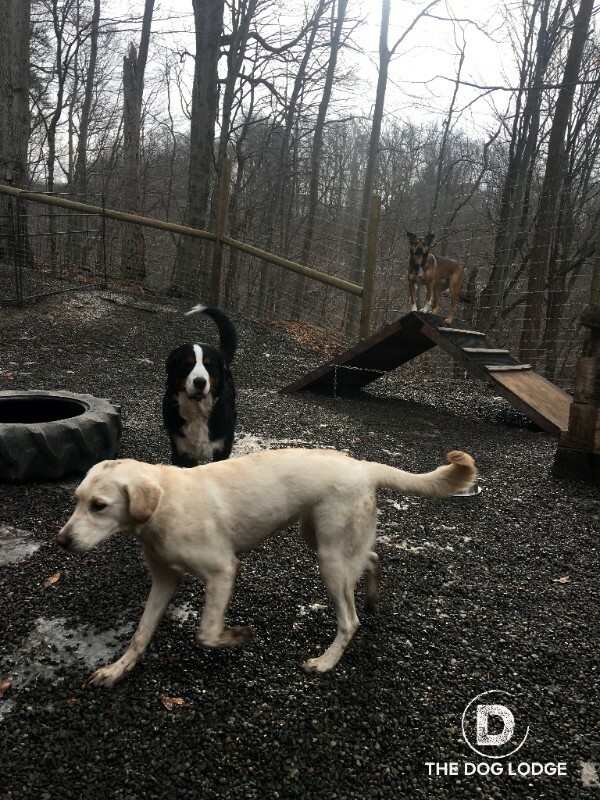 Training is brought to TDL by Homefront Canine. Want more info? 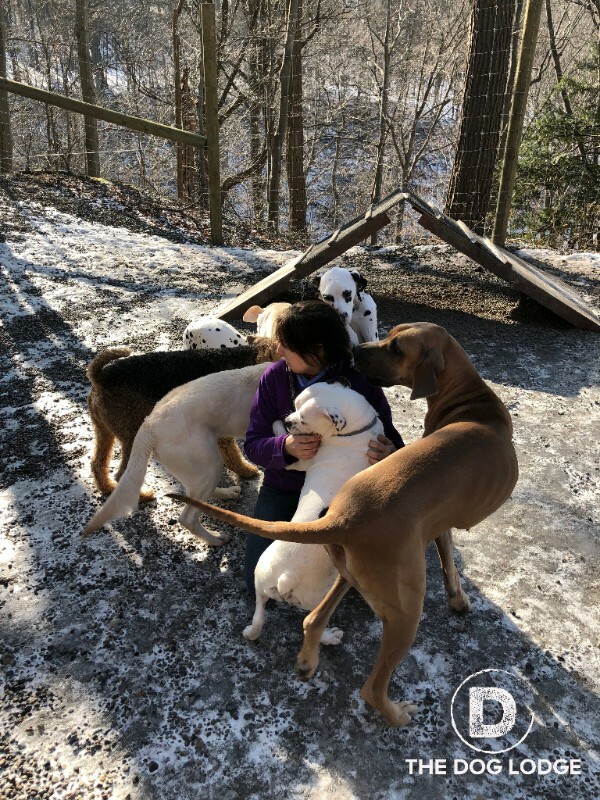 Contact The Dog Lodge by phone or email. 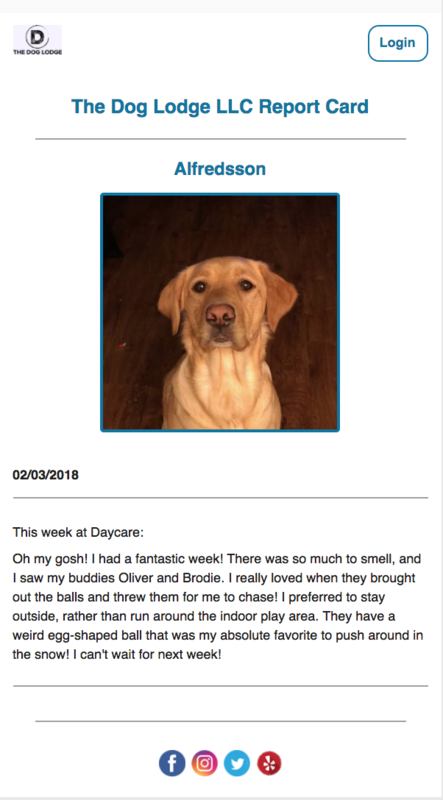 Keep track of your furry pal's daycare progress by checking your email each weekend! Pint-sized play parties on Tuesdays and Thursdays, Explorer walks along the ravine trail, and our daily play groups! 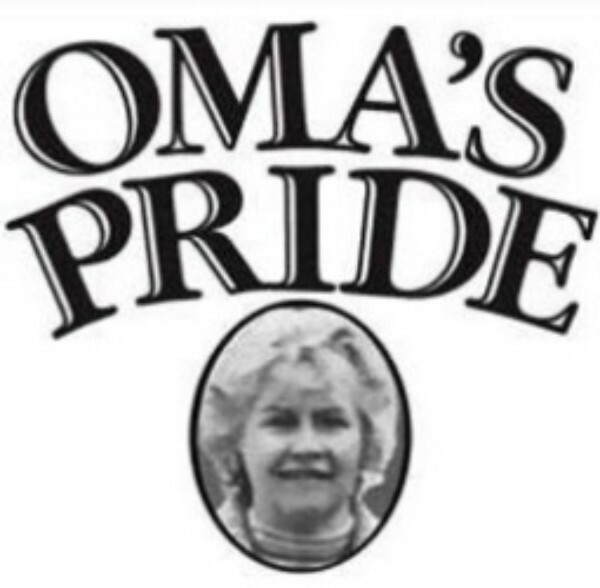 "At Oma’s Pride we revolve around our philosophy that an animal’s diet should be “as nature intended.” That’s why we are dedicated to providing dogs and cats with the truly all-natural, raw diet they were meant to enjoy. All of our ingredients are specific to what they would find in the wild (and nothing more) to ensure they are provided with the proper nutrition to live long, healthy, happy lives." 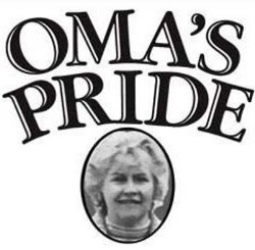 Let us know if you are interested in any Oma's product! We offer many options in our store! We also offer discounted prices if you're a client here! A new heated indoor across the way! This will make for even more fun during daycare hours plus another training arena. Just think of the possibilities! A big thank you to all of our clients for allowing us the privilege of taking care of their four-legged children! We wouldn't be here without you! 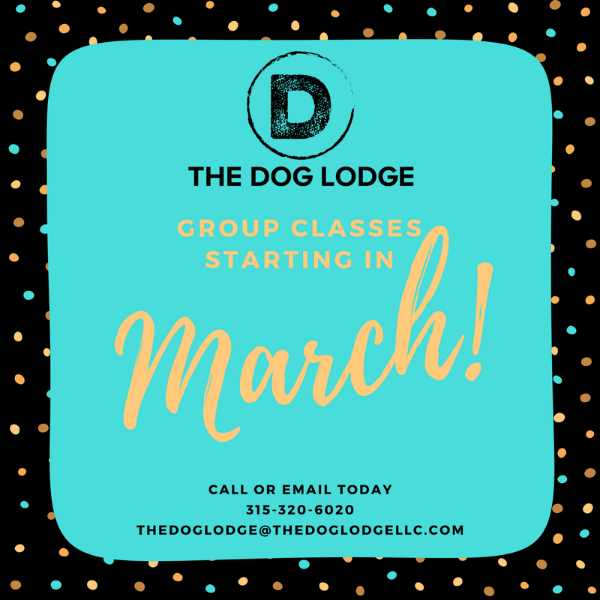 Sign up for March Class! Don't be a zombie! 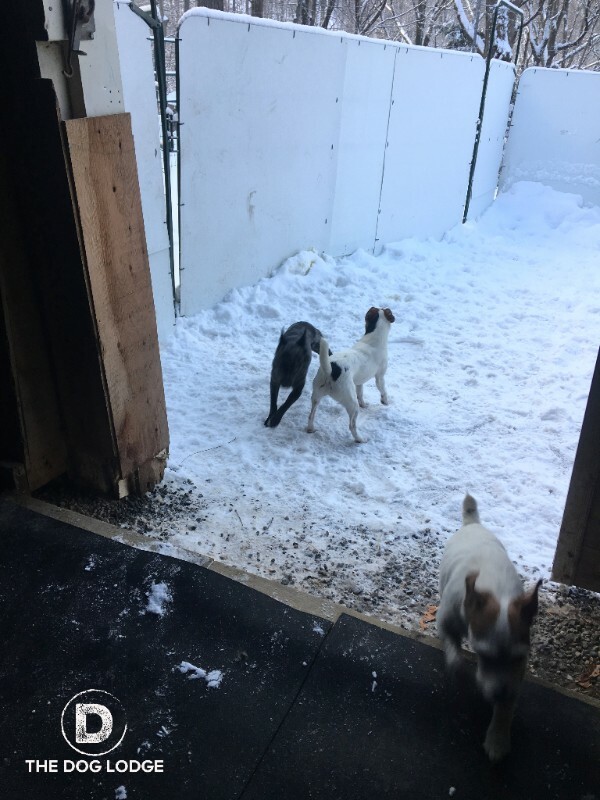 Come train at The Dog Lodge in Syracuse. Hope everyone has a great Halloween. I am sure many of you will be out trick or treating so be safe! Please keep us in mind if you or anyone you know needs training help. We can help manage behavioral issues. 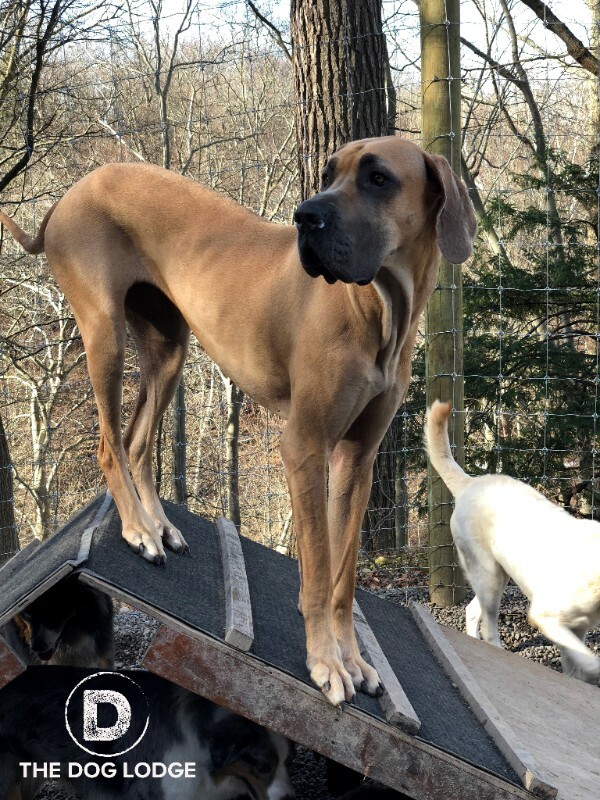 The Dog Lodge is now offering just for fun classes like our Intro to Agility Class starting in November. 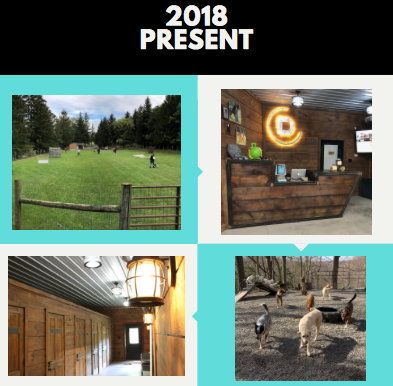 Also keep an eye out for some new daycare packages in the works! Click on the graphic for more training info. TDL's Narco and his time to shine! 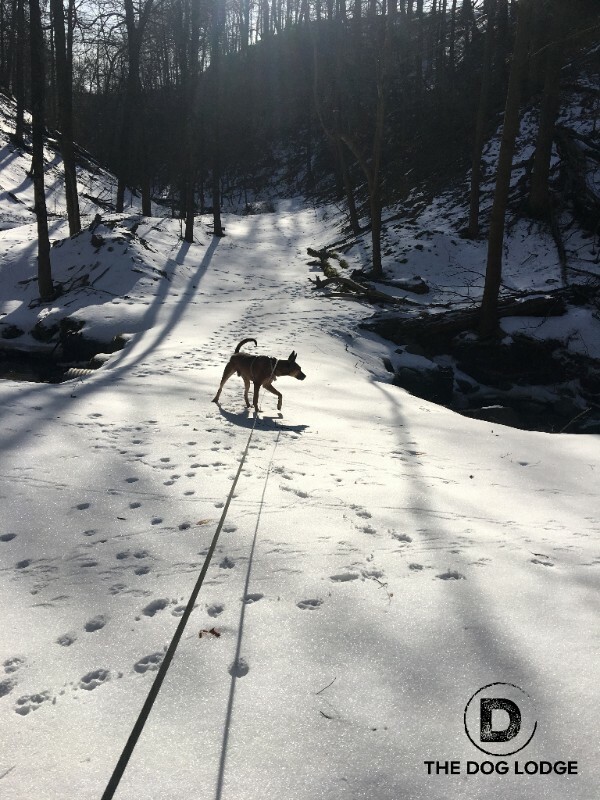 Here are a few cool pictures from a dog sport trial we attended a few weeks ago!